THE ranks of billionaires in Singapore have surged, going by the latest listing compiled by Forbes magazine. Sixteen made it to the billion-dollar club as of this month, up from only 10 last year. The 16 include only Singapore citizens, and do not count residents with other citizenships such as Brazil-born Facebook co-founder Eduardo Saverin, Forbes told The Straits Times. Newcomers included paint tycoon Goh Cheng Liang, with net wealth of US$2.15 billion (S$2.72 billion), as well as Raj Kumar and Kishin RK of property group Royal Holdings, who have a fortune of US$2.1 billion. 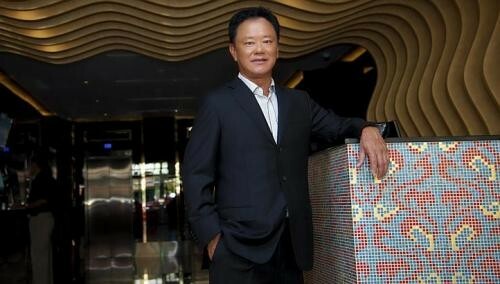 Osim founder Ron Sim also made his debut on the annual billionaire list with US$1.2 billion in net worth, as did the owner of the Hotel 81 chain, Mr Choo Chong Ngen, who was listed with a fortune of US$1.1 billion. This year, local property and banking magnates continued to hold sway in the US-dollar billionaire list. City Developments chief Kwek Leng Beng returned to the list after a five-year hiatus, "due to better understanding of his family's assets", said Forbes. It listed his net worth at US$2.4 billion, although this was down from US$7.1 billion stated in Forbes' rich list, a separate ranking, in August last year. His rivals Robert and Philip Ng, sons of the late founder of Far East Organization Ng Teng Fong, topped the local list again with a net worth of US$11 billion as at March this year, up from US$10.1 billion last year. The Kwee family of Pontiac Land was next, with a fortune of US$5.2 billion - up from US$4.6 billion last March. UOB chairman emeritus Wee Cho Yaw, in third place, saw his wealth rise to US$5.2 billion from US$5 billion last year. Fourth on the list was Mr Jason Chang, who heads Taiwan-based Advanced Semiconductor Engineering and is a key investor in Chinese developer Sino Horizon Holding. He was listed with a net worth of US$2.6 billion. Around the world, Forbes counted a record 1,645 billionaires with a total net worth of US$6.4 trillion, up from 1,426 last year. Top of the list was Microsoft co-founder Bill Gates.